Anyone who has ever written a keyword targeted article or blog post knows what SEO keywords are. SEO stands for Search Engine Optimization. Search Engine Optimization, SEO to put it simply, is using key search words in your writing to ensure your web page pops up whenever someone types that keyword into the search engine. I know, it may sound much more confusing than it actually is, There isn't much to worry about. Search Engine Optimization is one of the most beneficial and easiest forms of keeping your business high in the loop. There is no much better or particular skill involved (other than being a skillful writer) and there is absolutely no cost to you. Although you may have to do some website or blog tweaking and improvements. One way that many people utilize Search Engine Optimization to their best advantage is by writing quality and unique articles on their website. I should start by saying that articles are not the same thing as blogs. Quality Articles are expertly or may be professionally written “How To’s” that people read to gather information. Blogs are your random train space of thoughts to keep people entertained and connect to you and your products and services on a human level. By writing articles on your website or blog, you are able to give yourself the chance to describe your product to those who may not be familiar with it. Let’s me give you a scenario or an Example. A friend of mine was given the opportunity to write an article on Woodworking. While I do consider him a crafty person, I can tell you in all honesty that the closest he probably ever came across woodworking was in high school wood work class and I dont think he got an A grade. Woodworking, although fascinating, has never been his niche. He needed to do a lot of research quickly and fast, in order to better acquaint himself into the wide world of woodworking. The first thing he did (as everyone would do, as I imagine) was search the internet for ‘woodworking’. Everything under the sun that were atleast place on the internet about wood working popped up. He was able to do his research with relative phrases and submit the article to be published. Now, the question is, how on earth did the Internet know how to find what he was looking for ? There’s the genius in Search Engine Optimizations. The Internet is not some magic device that just knows what you want and provides it for you in some wholesomely cool way. 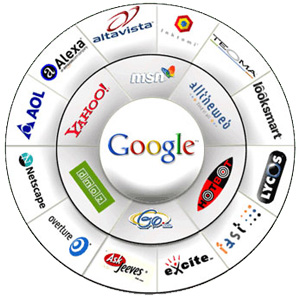 The Internet uses search engines which uses keywords. Whenever you type something into the search engines, the search engines automatically shifts through billions of words on the internet that it is able to find, articles, Pictures,Videos and other miscellaneous internet things to find for you websites and pages that have that keyword or phrase in them. If I type the word “monkey” into my search engine everything that has to do with monkeys comes up. It’s a fast and convenient way of doing research. As a marketing entrepreneur, however, you already know that monkey is a very broad spectrum. There are different types of monkeys, there are toy monkeys, there are zoo monkeys and there are monkeys that only live in storybooks. So how do I sort through my monkeys now? I simply tighten my keywords. Suppose I need to write something on old zoo monkeys. I would type ‘old zoo monkeys’ into the search engines and search, then anything that has ever been written and posted on the internet which the search engine can find that has anything at all to do with old zoo monkeys is going to pop up (theoretically). This, however, is still way too broad of an idea for my tiny monkey report on yellow baboons. This causes me to type in yellow baboons into my search engine and see what happens. Everything that shows up now is centered on yellow baboons. This means that the keyword phrase ‘yellow baboons’ is much more beneficial than simply typing in ‘monkeys’ when I have research to do on yellow baboons. The search engine went through the Internet to search for every little word,picture or video of yellow baboons that it could find and posted them for me to look at. Marketing/Promoting is very important for any business...it gives the business a recognition.Marketing is of many means like Internet Marketing,Offline Marketing,banner ads,Mobile Marketing etc.Internet marketing involves E-mail marketing,SEO,article submission etc.Offline marketing includes providing newsletters,posts,through television ads.Mobile marketing includes tele-calling,SMS,MMS etc.There are providers like Tucktail.com where they provide this email marketing service,SEO techniques to improve the business.